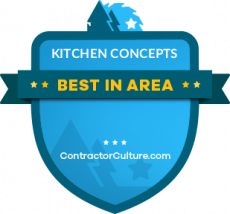 Here at Kitchen Concepts we work with only a select few brands. Brands that have not only met ours and our customer's expectations, but year after year have consistently exceeded our expectations. Below are the cabinet companies we are happy to have a long standing relationship with and the countertop options we offer.